This is a guest post written by Uday Bhanu. In this post, he has shared his case study and the overview of Flipkart Affiliate Program. Affiliate Marketing is a time tested marketing strategy, right from Fortune 100 brand to startups. Marketers set up the affiliate program to open new income avenue without much of the hassle mainly banking on partners operating in niche areas. Think of brand placement in a Bollywood movie where you see the hero comes with a charming new car to pick the heroine for a party. The brand and make of the car is prominently positioned to the audience in the course of the plot such that it is weaved in the story itself. Here the movie producer is an affiliate of that car brand who markets the car in the context of showing the movie to its audience. In eCommerce, Amazon has been the flagship affiliate program globally. The eCommerce affiliates are 1> niche websites or blogs (via SEO) and 2> social handles. In both cases, advertisements are shown to visitors which result in conversion and imply commission for the owners. A recent study suggests that most traffic for affiliates were driven by SEO (79%) and then by social media (60%). Flipkart being the pioneer and the biggest eCommerce players in India has been running its own affiliate program. 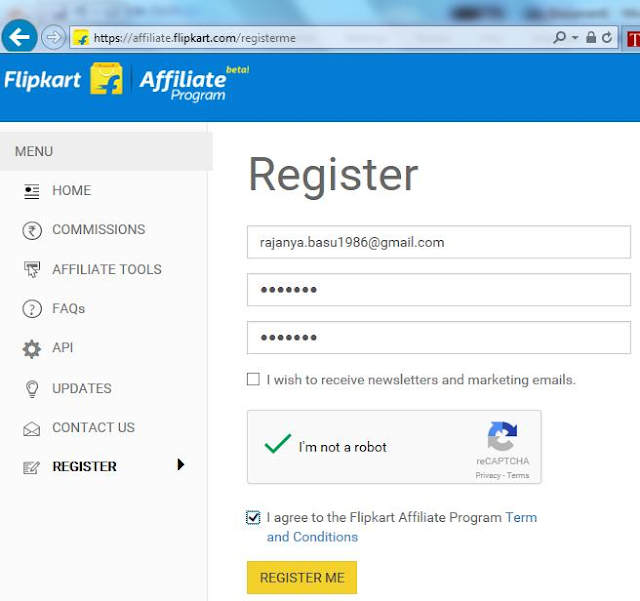 Affiliates place product banners or links on their website/blogs to refer users to the Flipkart.com website. The affiliates then earn percentage commission every time a user clicks on the banner/link and makes a purchase on Flipkart website. With growing importance of mobile channels, the same is also true for Flipkart app. Let’s now understand how you can join the program, which are the steps to follow, the check-lists, tools available to help your cause and best practices. You do not have to pay anything to join or remain in the program. But you need to have a website or blog. If you have one already, a good idea would be to spruce it up, take a paid subscription to a good hosting service to ensure that website is up all the time. If you do not have one, now is the time to get one. GoDaddy and Bigrock are pretty established and credible in getting a unique domain, offering stable hosting servers and providing tools to quickly set it up without too much technical know-how. Once, basic registration is over, you will have to enter your website or blog details. Here you will also indicate the product categories you will be promoting. Monthly visit of more than 1000 is a key threshold considered while registering affiliates. Also, you must have a bank account number and PAN to get the commission. Otherwise, you will only get Flipkart Gift Vouchers, to be redeemed on the purchase. Identify products that sync with your website content. Narrow your picks by searching on Flipkart.com for specific products, keywords, and categories that match the topic of your subjects in each webpage/ blog post. Once you zero on the product type and then sort by other criteria, e.g., average customer review to identify the best product (brand/make) of that class. Another approach to promoting a product is to maximize commission. Check the latest payout table (https://affiliate.flipkart.com/commissions). 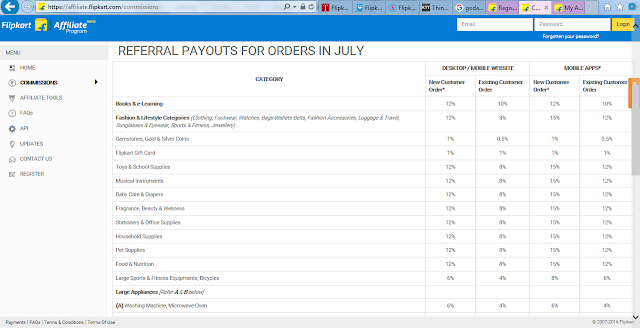 The percentage payout is mentioned for each product category. For example Fashion, Books and Homeware are the categories with the largest commission yields. Also interesting to note that for the same product category, conversion on mobile app yields 0-3% more than website/blogs. Hence select those products which are either high priced or has a higher commission attached. Product cross referencing can be a very effective strategy as it brings down the risk of an irrelevant product selection. Many of your visitors may have an interest in a wide variety of products. Take advantage of this by promoting items from across the broad Flipkart.com catalog, thereby capturing more sales. For example, if you are reviewing a new fitness accessory on your site, you can increase your conversion by featuring other relevant products like track suits and dietary supplements. 2. Product Links also work in the same way as banners. 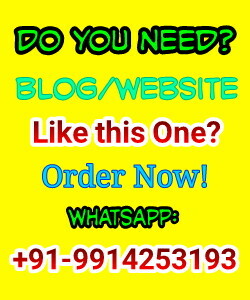 Links too can be generated and customized and the underlying code then added to the website. 3. Buttons are also similar and you can choose one of the buttons from the available ones to connect a particular product from your website. 4. If you want rich and dynamic content on your webpage, you can use Flipkart widgets. While you can customize the look and feel of these widgets, the underlying code will be provided to you which you can add to the source code of your webpage. 5. You can include Flipkart’s product search widget on your webpage where a visitor can search contextually and click on the results to directly move to Flipkart website/app. You need to monitor how good or bad things are going. Gradually as you amass more number of posts, and keep working on promoting your blog; you should find your traffic to start growing. As the traffic grows so will your probability of earning from it. earning commission from your Flipkart affiliate account, and before you realize you will be celebrating your first earnings from Flipkart. For monitoring, you can use the following reports available on your affiliate account. Traffic Report displays the number of times a particular link was clicked on your webpage. You can view the pages visited by visitors post clicking on your link to this report. Order Report, on the other hand, provides you insight into various stages of conversion. For example, Pending Products in this report are those which were ordered through your links in the last 30 days and can still be returned by the customer. These products would shift to the "Approved Products" list if they are not returned within the stipulated time period and you would receive payments for these. You can also see Cancelled or Disapproved products for which Flipkart would not pay even if the conversion has happened. In case, you have not mentioned a bank account or chosen gift voucher as payment mode, Flipkart will accrue and withhold commission until the total amount due is at least Rs 250.00. Gift vouchers are to be redeemed against the purchase from www.flipkart.com. In case, you have provided a bank account, the payment will happen through Electronic Fund Transfer. Flipkart will accrue and withhold commission until the total amount due is at least Rs 1000.00 which they call as minimum payout threshold. 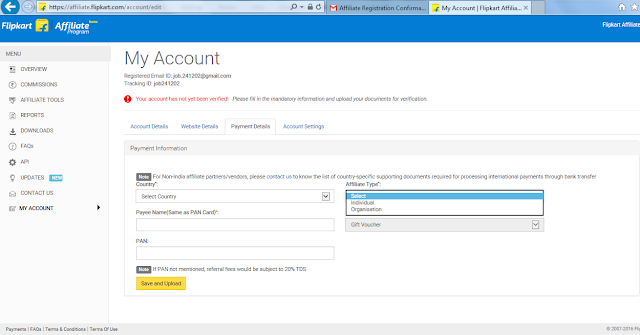 Flipkart Affiliate Program follows NET 30 method for paying their outstanding. This implies that you will get paid after 30 days of reaching the minimum payout threshold. For example, if your commission income becomes Rs. 1000 or more on July 1, you will receive payment in your bank account on July 31. You can also access the Payment report on your affiliate account. 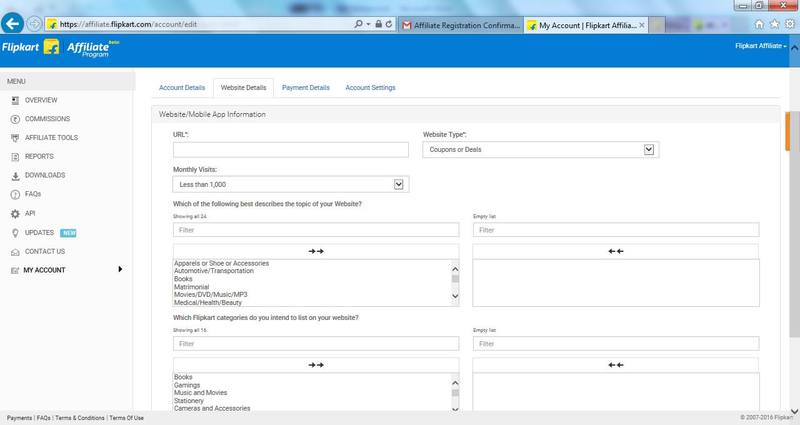 It displays the amount of outstanding, actual payment made and schedule of next payment. In case you have provided PAN, Flipkart deducts 10% TDS on payment. In case you have not provided PAN, TDS deduction becomes 20%. Being an affiliate for a few years now and slowly building my website and blog over the years, I finally reached my best - clocked 39,390 INR recently in 30 days in June 2016. In case your eyes are popping out in disbelief and you are about to quash it as another internet gimmick, let me provide something conclusive. Below is my Affiliate account screenshot which most probably nails it. 1. If you take a ratio of Earnings by Total Sales, then it’s 3.02%. This yield from Flipkart Affiliate Program is of course not the best return from sales, you can think of. But then this is passive sales for which I did not have forego my full time job. the commission all of those categories I have helped sell? This is not unusual as you will find out. 3. Most of the sales I have clocked are 1-2 months old. This got accumulated in Jun as per the NET 30 payment method. 2. Select the right type of ads. I tend to use Banner and widget more than the others as it suits my web layout better. 3. As I am into books, I run book review series on my blog. I put images of all the books I have previously reviewed in each webpage. Each image links to Flipkart. 4. Time of the year is extremely important. I leverage the headwind of Flipkart’s marketing push and momentum and put more effort on those occasions to promote my blog more on social and other blogs. I have on few occasions ran paid promotion to drive traffic. 5. I have installed SEO plug-ins in each of my webpages to help in on-page SEO. My page-title and metadata are always well written with enough keywords. I maintain breadcrumbs for internal pages. a. Click Through Rate or CTR is the ultimate KPI around which this whole game works. Understand CTR very well. way to improve that but ultimately monetize it. Hence continuous improvement of the website/blog is of paramount importance. c. Sudden spamming of social media to promote your website is going to be counterproductive. Do not just rely on social media and take a more balanced long term path. d. With mobile is now increasingly driving more and more traffic to websites, Mobile SEO understanding is critical. Implement parts of responsive website design while re-designing your website. Hope this post helps you in deciphering some concepts, understanding some more about Flipkart Affiliate Program and finally clearing the way to earn sweet money. Message: I hope that you have enjoyed 'FlipKart Affiliate Program Overview: How I made 39,390 in 30 Days [Case-Study]' article. However, if you want me to deliver more items, then please share my post. You can use Social Sharing Widget provided at the end of every post. After all, Sharing is Caring! Hi Suresh, its a great case study by Uday Bhanu. for the first time i am seeing this much amout paid from flipkart. i also think to start flipkart affiliate but some previous aff marketers said that flipkart affiliate is scam and not paying. Hope after seeing this i will resume my Flip kart affiliate marketing. Thanks for the awesome case study. I have tried Flipkart affiliate for 6 months but it does not work at all. Do you have any proof? can you attach your payment proof or earning report in same article? don't know about the affiliates program. Good one. Let me try also. Affilated marketing is always a great way to earn money, but i don't think it will work for small sites like mine. Any suggestion will be helpful. This is amazing to hear that you made huge money from flipKart. Thanks a lot for sharing your experience.